"Wales have won their last three games against South Africa and come into this contest with confidence soaring after eight successive victories." 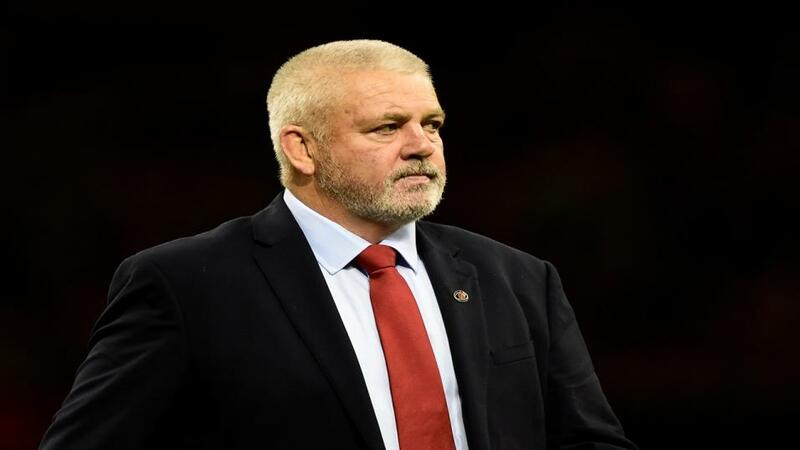 Wales are finishing 2018 with a flourish and Warren Gatland's side are shaping extremely well with less than a year to go until the World Cup. Their 74-24 victory over Tonga last week was their eighth consecutive win, which included defeating their old nemesis Australia, and they are now setting their sights on achieving a first autumn clean sweep. South Africa are also heading in the right direction with Rassie Erasmus rebuilding the Springboks after a barren run. After being narrowly beaten at Twickenham by England, South Africa edged to victory in France. This was followed by a 26-20 win over Scotland at Murrayfield and they have kept an unchanged team for the Cardiff clash. Wales have won their last three games against South Africa and come into this contest with confidence high. The Springboks will not be easy opponents, with only two points between them in the last two meetings, but the hosts appear to have the edge. Wales can end the year on a high and underline their status as Six Nations and potential World Cup contenders by clinching a narrow victory over South Africa. Ireland deservedly earned all the headlines last weekend after Joe Schmidt's team produced a complete performance to defeat world champions New Zealand 16-9. It was a superb performance from the Irish which only underlined the huge progress made by the Six Nations Grand Slam champions. Ireland are second favourites for next year's World Cup and will have taken huge belief from their first home win over the All Blacks. It is no surprise Schmidt has made 14 changes to his team for this weekend's match with centre Garry Ringrose the only player retained in the team. This is totally understandable after the exertions against the All Blacks. Ireland are wisely taking a look at their squad players and no-one can argue about this after a run of 17 wins from their last 18 matches. Ireland will win with something to spare but there is no guarantee they will cover a hefty 37-point handicap. USA have won all nine matches this year and have not lost by more than 36 points since South Africa thrashed them at the 2015 World Cup. With so many changes for the hosts, Ireland may not run up a huge score and USA look worth backing with a generous head start. Scotland are making progress under Gregor Townsend but were left frustrated last weekend after losing 26-20 at home to South Africa. Murrayfield has been a fortress for the Scots over the last year but the Springboks' clinical edge made the difference in a tight match. Townsend has mixed up the backline for this match with Finn Russell moving to centre and Adam Hastings starting at fly-half. Argentina are dangerous opponents as they proved during the Rugby Championship after a 23-19 win in Australia in September. The Pumas are carrying a threat again and caused Ireland problems earlier this month during their 28-17 defeat. Argentina are improving under new coach Mario Ledesma and should offer Scotland a challenge. Scotland have enjoyed the upper hand against them winning the last four clashes and six of the last seven. The hosts won comfortably in June's most recent match but their six previous wins over Argentina were by no more than 12 points. Scotland are worthy favourites but could be in for another close encounter and a narrow home win over the Pumas looks the best bet.